Next model year, Chevrolet is bringing us two brand new Corvettes in the forms of the ZR1 and the Carbon 65 Edition. While we have the details on what the Carbon 65 Edition will bring to the table, including many carbon-fiber elements, we are still waiting on the Z71, instead staring at spy photos picked up from the Nurburgring. Of course, though, there are a few changes for the Corvette at large for the 2018 model year. For one thing, the MSRP rises a very small $45 on the Stingray and the Z06, bringing their starting prices to $56,490 and $80,490, respectively. On the Stingray, that $45 increases the standard wheel size by an inch to 19-inch front wheels and 20-inch wheels, while adding five additional wheel choices. In addition, General Motors’ Magnetic Ride Control advanced suspension will become a stand-alone option, when previously it was bundled in with performance packages or appearance packages. Finally, the backup camera’s feed gets a higher resolution, the head-up display gets an enhanced rotation setting, and the interior and exterior adds some new color combinations. 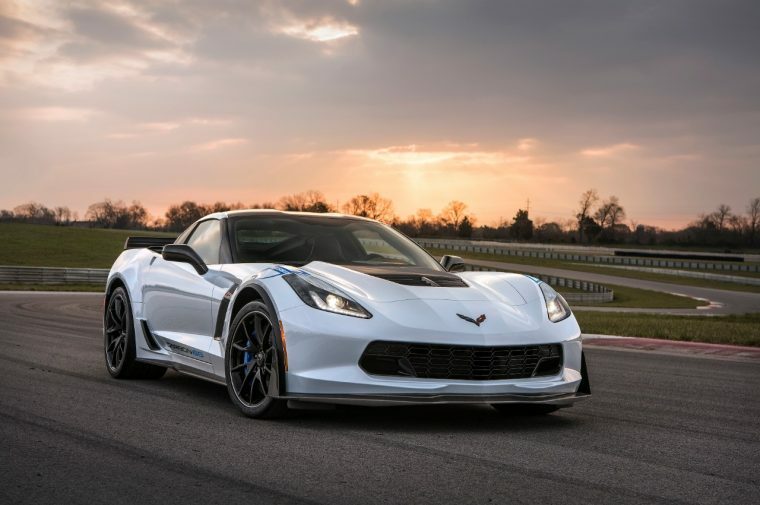 On the Z06, the changes are similar, with new wheels, more data points on the optional Performance Data recorder, the higher-resolution camera feed, improved head-up display, and new color combinations.